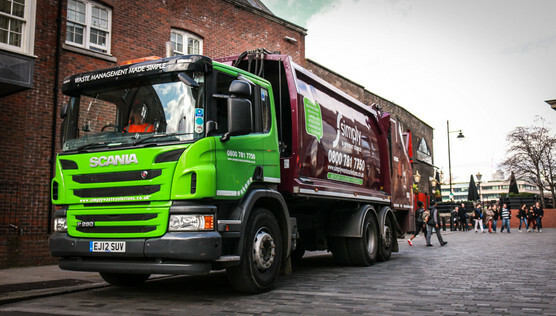 An incident between one of its vehicles and a cyclist reinforced the decision by waste management company Simply Waste Solutions to fit its entire fleet of refuse vehicles with the latest hard disk recording camera equipment and cyclist safety technology. Simply Waste Solutions carried out comprehensive trials of all the market leading equipment before making a final decision to choose the RX3 Hard Disk Recording system and Cyclear detection device from Innovative Safety Systems Ltd (ISS). James Capel continued: “We tried a range of camera systems but we found the quality of footage just wasn’t as good as the ISS equipment. Another great feature is that we can download the footage automatically and remotely by WiFi as the vehicles return to our depot so we don’t have to send someone out to retrieve the hard-drive out of the cab. It’s a seamless process. A deciding factor for choosing Cyclear was the lack of false alarming, which is a common fault with other systems and causes drivers to ignore the warning signal. Currently FORS (Fleet Operator Recognition Scheme) Bronze accredited, Simply Waste Solutions is aiming, with the help of the equipment from ISS, to achieve silver accreditation in 2017 and gold in 2018. A leading vehicle safety technology company ISS designs, supplies and maintains vehicle safety and efficiency equipment, most of which is manufactured here in the UK. Its product range includes vehicle CCTV, Hard Disk Recording, Remote Footage Download Systems, reversing radar, fuel saving modules, vehicle-tracking systems, LED lighting and warning beacons.